South Shores: A historic neighborhood near its end? Just outside downtown Jacksonville, a historic neighborhood's days may be coming to an end, due to the impact of flooding and sea level rise. Harrison Reed is an important political figure in Jacksonville’s (Florida’s?) history that we don’t hear much about today. Born in Littleton, Massachusetts in 1813, Reed was appointed by Abraham Lincoln in 1863 to be the Tax Commissioner in Florida to deal with sales and disposition of confiscated Confederate property. In 1868, following the Civil War, Reed was elected governor of Florida, despite the election results being disputed by Southern Democrats. 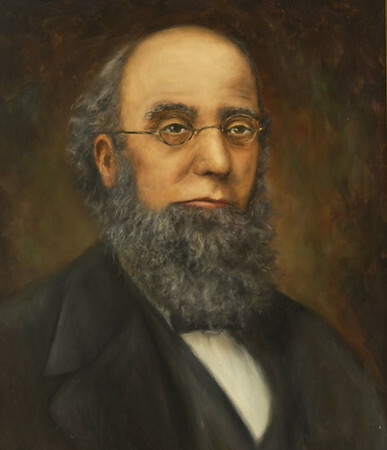 During Reed’s tumultuous tenure, Florida was readmitted to the Union, Jonathan Clarkson Gibbs was appointed as the state’s first African-American Secretary of State, and Reed defended two impeachment resolutions against him. After his term as governor ended in 1873, Reed relocated to a farm he acquired south of Jacksonville, along the St. Johns River. In Jacksonville, Reed became an editor for the Semi-Tropical magazine. Along with his wife, Chloe Merrick Reed of Fernandina Beach, the couple remained active in civic affairs especially around issues dealing with education and alleviating poverty for both African-American and white citizens. Reed also represented Duval County in Florida’s House of Representatives. 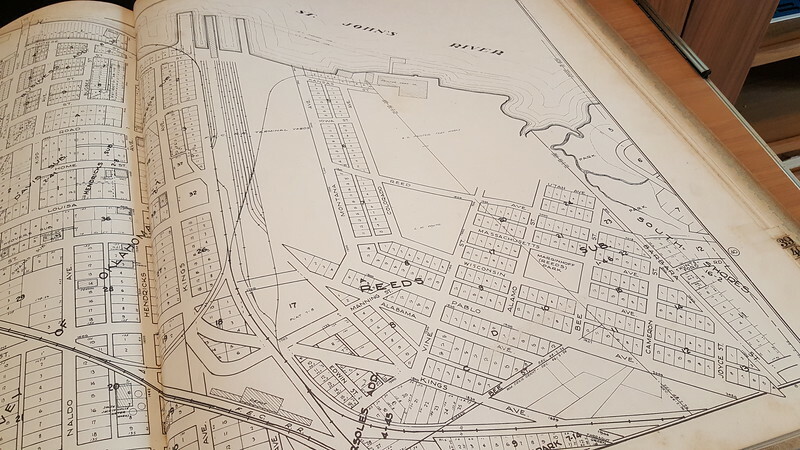 After Reed’s death in May 1899, his farm was platted into a community called Reed’s Subdivision. It’s initial plat was bounded on the west by the Florida East Coast (FEC) terminal yards, the south by FEC tracks to Pablo (Jacksonville) Beach, and the E.O. Painter Fertilizer Works, St. Johns River and wetlands to the north and east. Neighborhood streets included the names of people and places related to Reed’s life, such as Reed, Massachusetts, and Wisconsin. In 1907, the area became a part of the City of South Jacksonville. During World War I, the Merrill-Stevens shipbuilding company opened a shipyard east of Reed’s Subdivision in order to construct naval vessels to transport troops overseas, leading to further development in the neighborhood. Following the war, the South Shores area between Reed’s Subdivision and the Merrill-Stevens Shipyard was developed by Telfair Stockton. Born in Gadsden County in 1860, Stockton also developed San Marco and Avondale, becoming one of Florida’s most prominent and largest real estate developers by the time of his death in 1932. In 1929, efforts were initiated to develop a neighborhood park for the growing community. This initiative was led by neighborhood resident and South Jacksonville city councilman Alex D. Marjenhoff. Additional wetlands were filled in to create the park, which was named in honor of Marjenhoff in 1931. 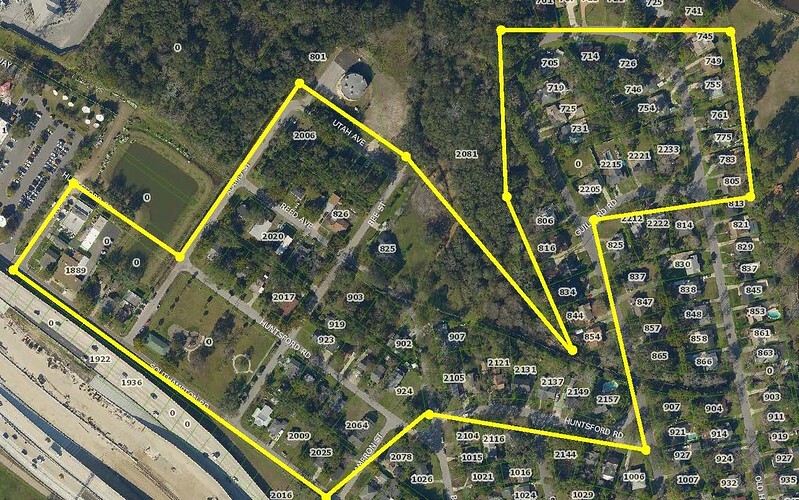 In 1932, the City of South Jacksonville merged with Jacksonville, bringing Reed’s Subdivision and South Shores into city limits. A map illustrating the location of properties falling within the flood zone. Map courtesy of the City of Jacksonville. Under regular circumstances, South Shore should be a place where real estate should sell for much higher than it currently does. It’s a quiet community with attractive brick homes and a centralized neighborhood park that is within a stone’s throw of Downtown Jacksonville and the city’s popular San Marco neighborhood. In addition to being next to a new I-95 interchange, the neighborhood is immediately adjacent to The District, a proposed mixed-use development catering to healthy urban living that’s anticipated to break ground in early 2018. However, continued change in the environment has turned one natural neighborhood amenity into a monster that may ultimately kill it. South Shores is located along the St. Johns River and was largely built on top of a former swamp. Properties that would be potentially acquired. Photograph courtesy of the City of Jacksonville. In recent years, flooding has become a significant concern throughout the community. So much so, that city engineers looked into several options for alleviating the situation, including investing up to $3.2 million to raise street elevations. However, after the neighborhood was engulfed again by flood waters associated with Hurricane Irma in September 2017, the city is pondering a dramatic solution. 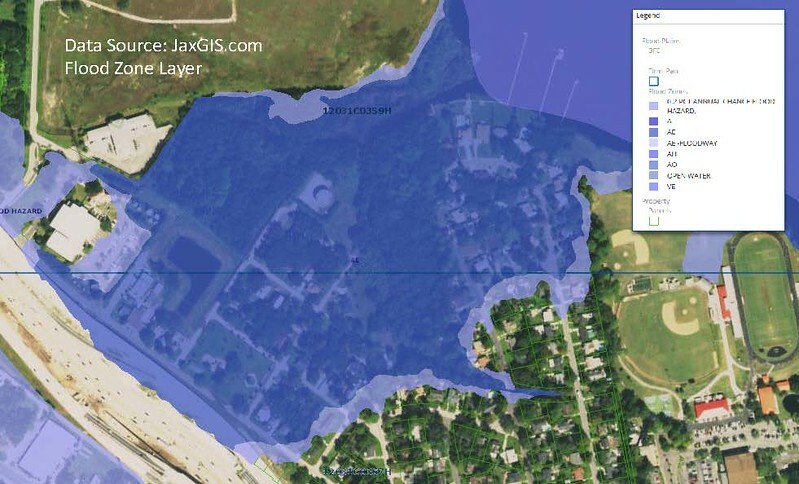 The $6.5 million plan on the table is to possibly acquire 73 flood prone properties, razing the residences sitting on them and convert a large portion of the community back into a swamp wetland. What ultimately happens with South Shores could set a precedent for other flood stricken areas within the city. 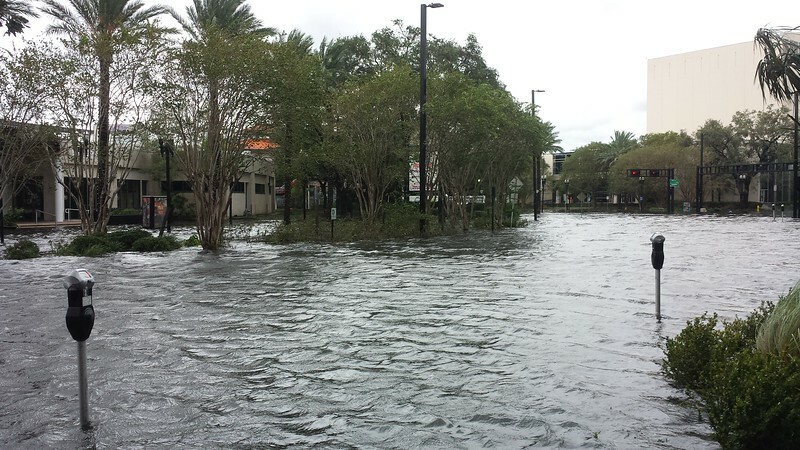 Along with South Shores, other areas in the AE flood zone that struggle with repeat flooding include Downtown’s Jacksonville Landing, Northern San Marco, St. Johns Quarter (Riverside), Avondale, areas along Hogans Creek, McCoys Creek, Trout River and Ribault River. A 2017 Hurricane Irma flooding of the Jacksonville Landing image courtesy of Mike Field.